Before baby arrives, the packages start to trickle in. Blankets, onesies, perhaps a bouncy chair. Before my first son was born, I remember acquiring more seating options for my baby than my husband and I had for ourselves in our one-bedroom apartment. 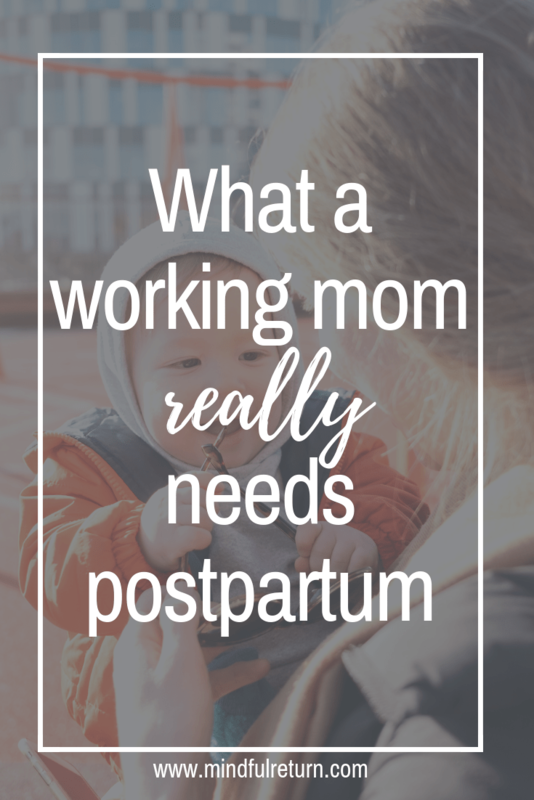 While all the baby “stuff” is important, just as important is the postpartum support we should be getting after baby arrives. Yet so many of us live far away from families and close friends. Engaging our communities and being okay accepting help are incredibly important to postpartum mental health – and to success in returning to work after maternity leave. 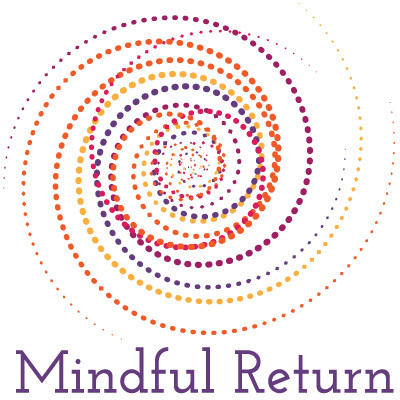 That’s why I’m delighted to feature Carrie Gaynor as a guest on the Mindful Return blog today. 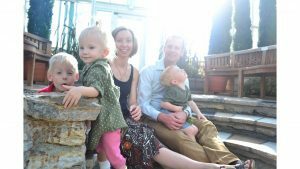 Carrie and her husband founded an amazing service-oriented registry called Marabou.This registry is designed to fill the gap in our villages and help new parents crowdfund their postpartum support. Here is Carrie’s story about how she created the registry and how it works. What in the world is a Marabou? 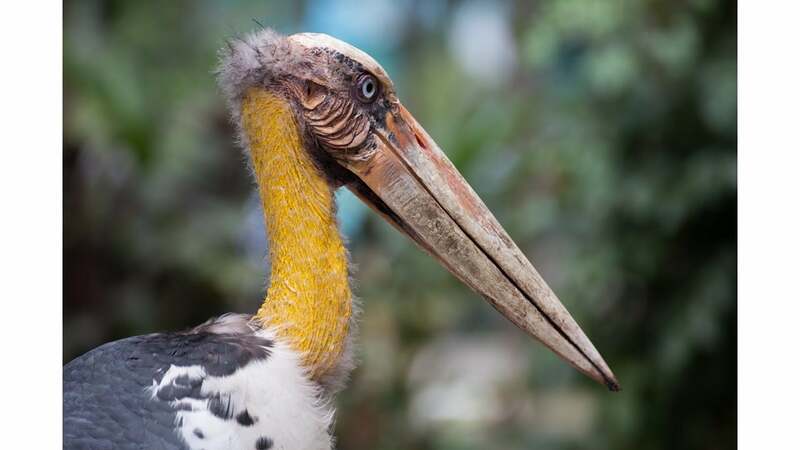 A Marabou is a type of stork. Did I give you the answer too soon? Because it is a type of stork, and because I have a degree in Zoology, I found it to be an apt animal after which to name the unique gift registry my husband and I created. Our gift registry is designed with newborn mothers in mind. And therefore, it’s meant to bring to women much-needed support in the 30 days following childbirth (aka: the postpartum phase). 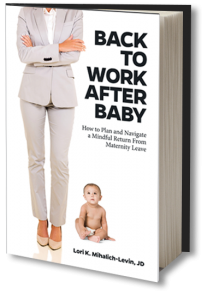 As our culture modernized over the past seventy years, we lost much of the cultural support new mothers were lavished with after giving birth. Like many traditions around the world, we used to have a special period of care and support for new mothers called the “lying in” period. This is exactly what it sounds like: newborn mothers get to rest. And everyone else takes care of everything else. From the housecleaning, to the care of older children, to the cooking, etc. Sounds heavenly. But think about how our society has changed since 1950. Urban sprawl has made visiting newborn mothers difficult for close family and friends. Often, young women are becoming new mothers in a city or state far from their support networks. Even if we do live within driving distance, we are busier than ever before. The grandmas, sisters and best friends who used to be the ones surrounding newborn mothers often have demanding jobs that are hard to get away from. It’s not that this way of living is wrong, it just hasn’t adjusted to the needs of new motherhood yet. The village of support hasn’t been replaced. And newborn mothers are often left to fend for themselves with unmet needs. At Marabou Services, we hope to swing that pendulum back to a new norm. One that gets the community surrounding and supporting new mothers again. Even if they can’t be there in person. With a Marabou gift registry, an expectant mother or her close friend or family member can start a gift registry by choosing a service that would benefit her the most after birth. This could be a postpartum doula, house cleanings, in-home chef, or registration in a Mindful Return E-course! A registry can be started for ANY service you can find. These are services that do the most good for newborn mothers. But they’re also the ones we easily discredit as being luxurious or “not in the budget.” This is why it’s so important for each newborn mother’s village to get involved. Unlike with a traditional online or store gift registry, a single person does not pay for the whole gift. Services like doulas or house cleanings can easily cost between $500-$1,000 for a thirty-day period. That is too much for most people to gift, even if they want to be generous. However, with a Marabou registry, the whole community comes together to contribute $20-$30 each, and collectively gift the new mother a service that will help her postpartum. In essence, it’s crowdfunded! We envisioned the stork bringing the baby and the Marabou bringing the support for mom. There are actually many parallels between Marabou ecology and the focus of our business. The name Marabou is a derivative of the Arabic word murābit, meaning “quiet” or “hermit-like.” That is exactly what every woman needs the month after childbirth. The Marabou stork thrives when surrounded by other Marabous, just like women. Perinatal mood disorders are far less common when new mothers have other women to lean on for physical and emotional support. Finally, Marabou incubation is 30 days, which is how long we strive to care for women postpartum! We chose the name “Marabou,” through which we hope to be the deliverance of peace and rest to every new mother in the United States. Visit our website for more information and click here to start a registry for yourself or an expectant mother in your life. 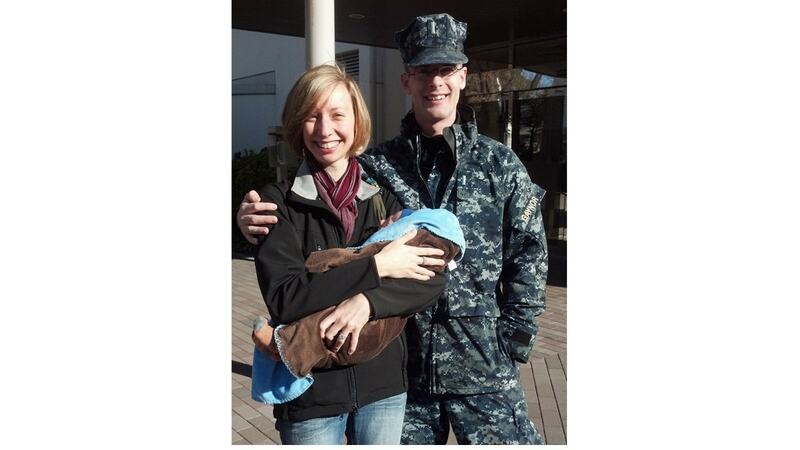 Carrie Gaynor is a Navy wife and mother to three children. She studied at the University of Wisconsin and earned a BA in Zoology. She and her husband were high school sweethearts. They have been married for seven years. They started Marabou Services after experiencing the difficulties of postpartum recovery without the strength of a supportive family and friend network. Maribou Services hopes to enable communities to support postpartum mothers wherever new moms are starting or growing their families. What a great concept and company! Moms so need that kind of support! I agree wholeheartedly, Kate! Thanks for your comment.